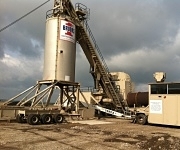 OUR LOCATIONS - Brooks Construction Company, Inc.
Brooks maintains two portable plants that are moved throughout northern Indiana to meet local construction demand. 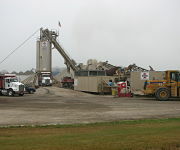 Brooks Construction Company, Inc. provides quality, high-value products and services to government agencies, businesses and individuals in and around Fort Wayne, Auburn, Angola, Fremont, Kendallville, Columbia City, Bluffton, Decatur, Berne, Portland, Marion, Gas City, Muncie, and Butler in Indiana, as well as, Edgerton, Hicksville, and Antwerp in Ohio. We look forward to serving you.